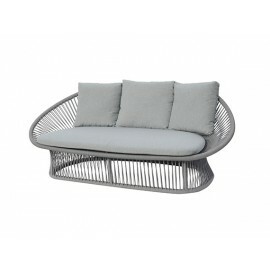 Gardenart's SPADE ALU round rope sofa has appealing rounded design features and a warm, natural look. The elements consist of a powder-coated stainless Alu frame combined with polyester rope in different color. 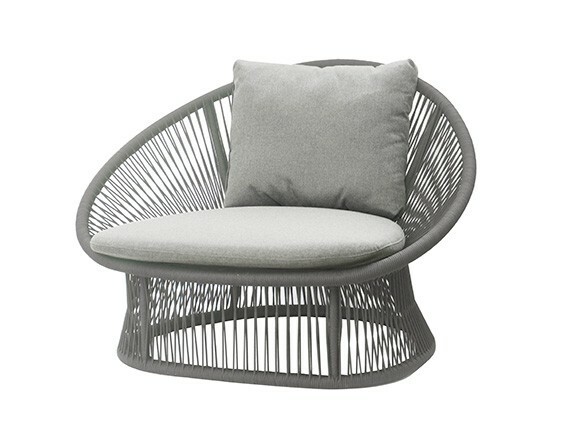 Gardenart's SPADE ALU round rope sofa has appealing rounded design features and a warm, natural look. The elements consist of a powder-coated stainless Alu frame combined with polyester rope in different color. 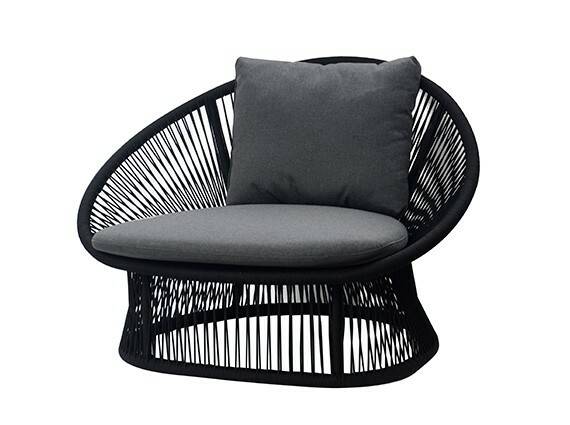 Both the colour and the attractive rounded features are unique and give the models a cheerful appearance.